Glaucoma is a group of diseases that damage the eye’s optic nerve and can result in peripheral vision loss and eventually can lead to blindness if left untreated. It is most commonly associated with higher-than-normal intraocular pressure (IOP) although there have been cases reported where optic nerve damaged was observed under normal IOP. Why does glaucoma screening necessary? Glaucoma is the second-leading cause of blindness worldwide (behind cataracts). What makes glaucoma dangerous is that it has usually NO SYMPTOMS at all and therefore the chances of having intensive damaged caused by the disease are high. By the time you notice problems with your sight, intensive damaged has occurred and additional loss may be difficult to stop. This is why half of the people with glaucoma don’t know they have it! Primary open-angle glaucoma – the most common type of glaucoma which gradually reduces your peripheral vision without other symptoms. By the time you notice it, permanent damage already has occurred. Acute angle-closure glaucoma – an emergency type of glaucoma which produces sudden symptoms such as eye pain, headaches, halos around lights, dilated pupils, vision loss, red eyes, nausea and vomiting. Each attack can cause progressively more vision loss. Normal-tension glaucoma - a type of open-angle glaucoma that can cause optic nerve damage under normal IOP without pain. Pigmentary glaucoma – A rare form of glaucoma caused by clogging of the drainage angle of the eye by pigment that has broken loose from the iris, reducing the rate of aqueous outflow from the eye. Over time, an inflammatory response to the blocked angle damages the drainage system. Secondary glaucoma – a type of glaucoma happened following an eye injury, infection, inflammation or tumour in the anterior part of the eye (primary diseases). Congenital glaucoma – An inherited form of glaucoma which is present at birth with 80 percent of cases diagnosed by age one. 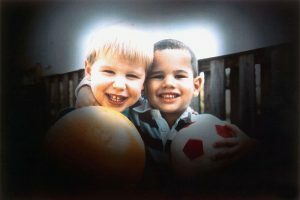 Signs of congenital glaucoma include cloudy cornea, enlarged or protruding eye in a child. Who is at risk of having glaucoma? How to screen for glaucoma? 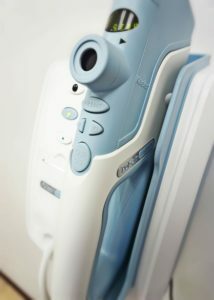 In Eyeplus Optometrist, we are equipped with non-contact type tonometer - Keeler Pulsair tonometer. It is a non-invasive test that neither require instillation of any drugs nor touches your cornea. Therefore, it is safe and friendly to use even on children! 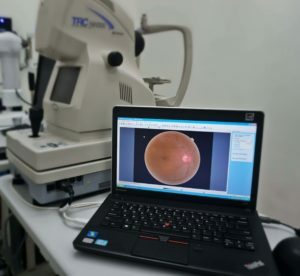 In addition, we will perform digital retinal imaging by using a retinal camera to photograph your optic nerve to evaluate the Cup-to-Disc ratio (optic nerve thinning indicator). Any larger-than-normal CD ratio is an alarming sign of glaucoma that may require referral to an eye doctor and periodical monitoring.